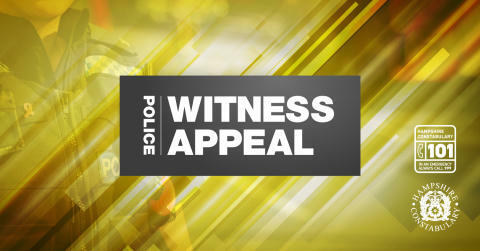 We are appealing for witnesses to a serious collision in Lymington, following which an elderly passenger died. The incident occurred at around 10.55am on Wednesday 6 March when a yellow Volkswagen Crafter and a black Nissan Qashqai collided at the junction of the A337 Christchurch Road and the B3058 Lymington Road in Everton. Three people were taken to hospital initially with minor injuries following the collision. However, the passenger in the Qashqai – a 90-year-old woman from Hordle – became unwell in hospital and subsequently died on Monday 18 March. Her next of kin are being supported by specialist officers at this time. We would like to hear from anyone who witnessed this collision. If you have any information, please call us on 101, quoting 44190079217.